Less than half an hour from Perth City, Swan Valley is a dream for lovers of food and wine alike. Home to an exorbitant amount of cafes and restaurants, Swan Valley has fresh produce, as well as acclaimed nougat, honey, chocolate and ice-cream. There are an abundance of tours you can pay for, though why not take your own? With a little preparation, a reliable GPS and someone to drive while you nurse your food baby, there’s no reason not to. There’s so much to see and eat while you’re there, so don’t distress if you don’t eat it all. There’s always next time. Whatever you do, go there with an open mind, or better yet, an empty stomach. Consisting of a 32km loop, Swan Valley is consistently signposted, designed to aid hungry travellers in creating a spontaneously scrumptious drive. Roadside stalls replete with local produce are abundant throughout Swan Valley, and what better way to stock up on delicious delicacies? Produce is seasonal, so expect tomatoes and varieties of melon during the summer. Wineries abound, and, obviously, grapes do too. There are 20 varieties to be found, grown by 150 producers. Visit the Yahava Koffee Works to take part in a coffee appreciation session, learn everything there is to know about coffee, and drink some coffee too. Taylor’s Cafe has excellent coffee too, as well as an adjacent art gallery. If you’re after the harder stuff, head to microbrewery Feral Brewery for an extensive list of ales and an atmosphere a little rougher than those of its grape-inspired neighbours. They brew award-winning beer, serve a seasonal menu and offer amazing rural views. Duckstein Brewery offers German inspired cuisine to go along with their brews. Mondo Nougat and the Morish Nut Shop are, conveniently, right next door to one another. Mondo offer’s Italian nougat, while Morish offers healthier alternatives. The Margaret River Chocolate Company is a must for chocolate lovers. The House of Honey specialises in raw, pure, unpasteurised and unadulterated honeys. Wine and cheese are meant to be combined. If that statement sounds agreeable to you, Olive Farm Wines is a good choice. The Cheese Barrel is right next-door, and they offer tasting plates matched with their neighbours’ drop. 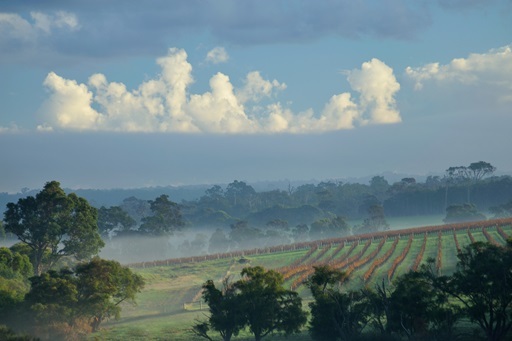 Sandalford Winery is bigger, and claims to be Australia’s oldest and largest family owned winery. If you’re looking for something to fill in the time between your next meal, Swan Valley offers outlets for the artistically inclined too. Antonio Battistessa specialises in forged Iron artworks, and can be seen at his studio. Maalinup Aboriginal Gallery features traditional Aboriginal artwork and artefacts. Gomboc Gallery Sculpture Park focuses, as you might guess, on sculpture. If you’re looking for activities of a more natural kind while your food goes down, Caversham Wildlife Park is home to more than 2000 animals and birds. Swan Valley Cuddly Animal Park is particularly great for children, and The Maze located in Bullsbrook houses a huge timber maze, and gives kids the opportunity to meet koalas, kangaroos and other natives.